The simple equation of Return on Investment (ROI) is a hot topic in social media circles as the discipline evolves to prove its value in the media and communications mix for business. It's a topic that has spawned several conference topics, a multitude of articles and several books all vying to show how social media experts can realize ROI in their social strategy. Within the ROI dialog is another set of value acronyms that try to show other forms of value other than direct monetary value. One popular one is Return on Engagement (ROE) that looks to show value provided by conversations and the establishment of deeper relationships with one's customers or prospective customers. Thanks to yesterday's AdAge, Nissan has now entered a new acronym to the social value lexicon: Cost of Ignoring (COI). Erich Marx, Nissan's director-interactive and social-media marketing, shared "you have to be there [social media]. It's not about ROI, it's about COI-- cost of ignoring. It's too big to ignore." Nissan's COI strategy is currently focusing on five vehicle launches in the next 15 months, all of them to include a "heavy emphasis" on social media. 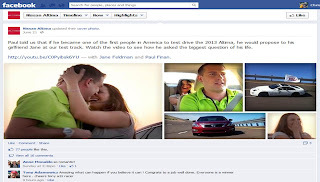 Ever since General Motors pulled out of a $10 million Facebook campaign, the marketing and investment world has been interested in what automotives are doing on the site. 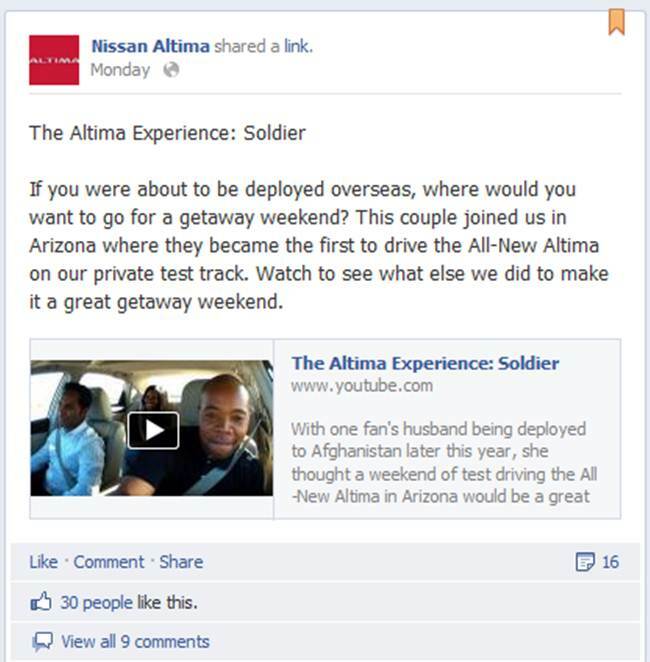 I'm not sure the story about Nissan's latest Facebook activities is that different from what's been happening on Facebook for the past several years from many car companies. 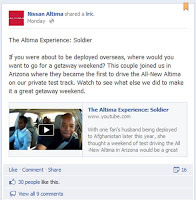 Nissan will be asking Altima fans to share car ideas that might be implemented in a future product and recently they did an essay contest where winners were selected for a drive event at Nissan's proving grounds. Which brings us back to COI. Any idea what the equation is for Cost of Ignoring? 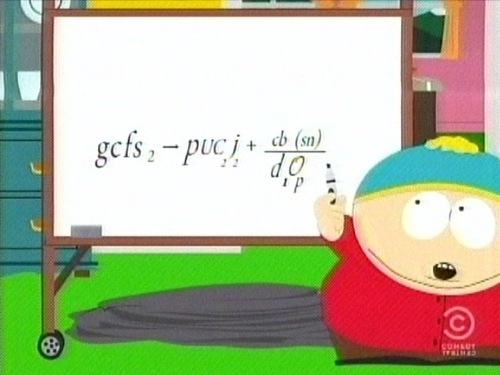 Perhaps it's something like Cartman's equation for gold. [Source]: AdAge "Nissan Looks to Facebook to Help Launch Five New Models"